I joined a gym for $100 a year. Can you believe it??? That’s like $8 a month! 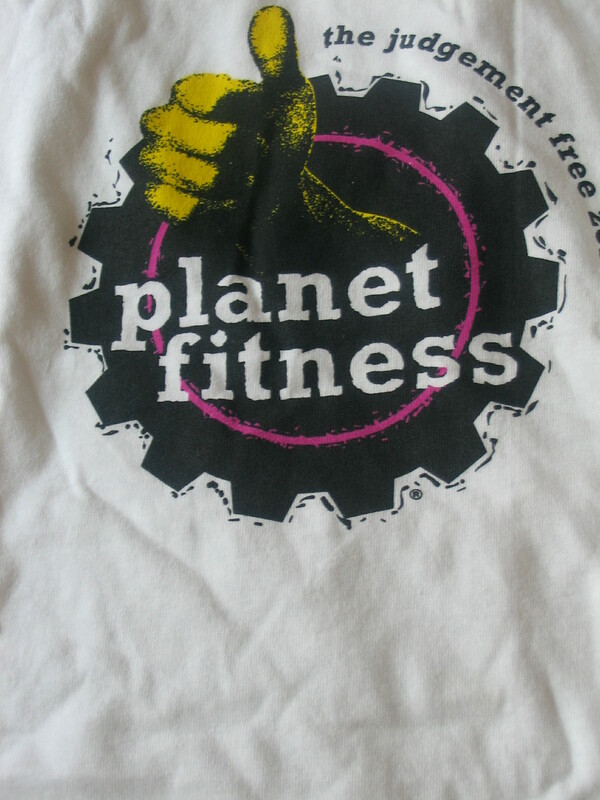 That gym is Planet Fitness in Porter Square in Cambridge. I had heard from friends it’s cheap to go there, so I looked up the location online. They have a very helpful webpage detailing their various membership options. How’s that for transparency? The page also list the gym’s contact information and hours. It sounds like a no brainer, but some gyms don’t even have a website (crazy in today’s world, huh?). 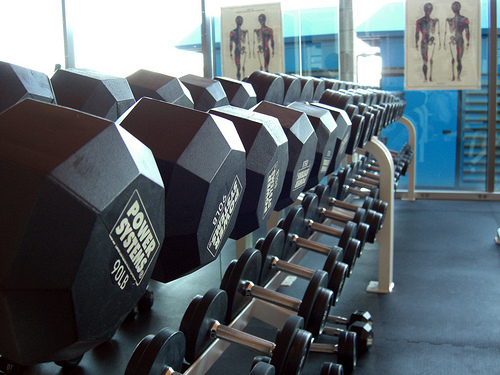 You can actually sign up for a gym membership online. I entered in the appropriate information, including my credit card number, and “Voila!” I was automatically a member. I went to the gym a few days later, and started working out. I couldn’t believe the gym’s cleanliness and attractiveness. For $8 a month, I was getting this? Had I died and gone to heaven? Something must be wrong with this scenario. Maybe there’s asbestos or something in the room and that’s why the membership is so cheap??? I have no idea! Anyway, the gym has lots and lots of elliptical machines and treadmills, the two pieces of equipment I use the most. Each one has a television attached, with a closed caption option. It was so fun– the other day I got to watch Tyra Banks interview people about their addiction to technology, while burning calories. It was a win-win! And then on another occasion I got to see a funny Regis and Kelly segment where Kelly (while deliberately acting like a ditz) learned how to change a tire. I wouldn’t normally watch these shows, but it’s great to have the opportunity while exercising. I know people who pay much more money for their Boston Sports Club gym memberships. And from what I hear the Central Square location’s televisions won’t turn on without headphones plugged in. Some people don’t like working out with headphones, so that is a real drawback I feel. Planet Fitness in Porter Square has a number of weightlifting machines, and a mat for you stretch and do sit-ups on. Unfortunately there are no classes offered, but for the price it’s understandable. The bathrooms are nice and clean, the two rooms are quite open (not cluttered), and I like the gym’s purple, yellow and black color scheme. Make sure, though, if you join the gym to check your bank statement. Planet Fitness “accidentally” charged me $99 twice. No one (I talked to two different employees) actually apologized for this oversight, though they did quickly provide me with my refund. I keep complaining about companies, but this complaint is truly merited. Up until a couple of weeks ago I belonged to the Super Fitness gym in Watertown. I decided to end my membership as I was moving to Somerville, about a 20-minute drive from the gym. I looked at a copy of my contract to make sure I could end my membership. Turns out toward the bottom of the contract there was a note about it being for two years. The only way I could get out of the contract is if I moved something like 25 miles away, or had proof I couldn’t exercise. Neither of these conditions applied to me, unfortunately. I was angry at myself for having signed the contract, but also at my gym for the way it had represented the contract. I remember meeting with one of the gym’s employees, and telling him I would only sign up if my membership was a month-to-month commitment. He said it was, and that whenever I wanted to end it I could with no penalty. Well, so much for that. Looking at my contract I realized he had lied. I went to my gym to see if I could end my membership anyway. I was given a phone number, and told to call “Shelly” in Quincy. I called her, left a message. and waited. She didn’t get back to me so I left another message and sent an email detailing my situation. She finally called me back, and said I could end my membership early for $50. Normally she’d charge $100, she said, but because I had attended the gym for so long (a year and a half) she would give me the discount. I appreciated her offer, though I was disappointed she hadn’t apologized for her colleague’s misleading words the day I signed up for the gym. I ended up sending Shelly my $50 check. I called and emailed her numerous times to make sure she had received it. No response. I ended up confirming she’d received my check by looking at my bank account. Shelly had told me my membership would last until the end of August, as I had paid my monthly membership fee for all of August. I went to the gym toward the beginning of August, and my card was rejected. The girl at the counter told me my membership was over. She said I’d have to call Shelly. I called her but received no call back (surprise, surprise). It’s like as soon as she had all of my money she didn’t care about helping me anymore. I don’t know if any of this conduct merits a Better Business Bureau complaint. But at least I can use this blog to spread the word about the gym’s practices. It looks I’m not the only one who’s experienced their poor customer service/was lied to about what I was signing.